As the trade deadline approaches, every team in contention is going to try to make any deal they can to improve their team. As has been mentioned in previous writings the Red Sox were looking to be active in the starting pitching and relief pitching market. The Sox and the front office were able to cross another item off of their wish list. Earlier in the year, Dave Dombrowski was able to swing a deal with the Blue Jays for Steve Pearce who has done exceptional with the Red Sox and has been a huge part of their success. The acquisition of Pearce insured the Red Sox would be able to get the hitter they were after, without giving up the entire farm system. One the eve of the finale with the Orioles, who just traded their star closer Zach Britton to the Yankees, Dombrowski was once again active. 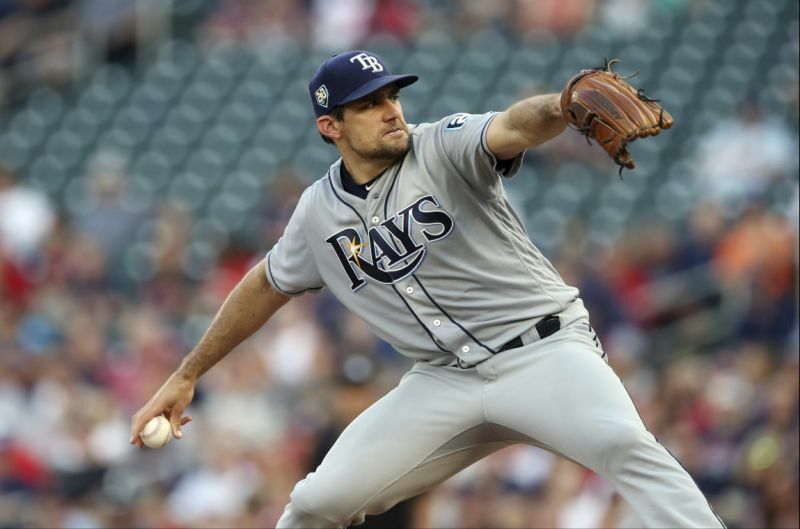 The Red Sox were able to acquire starter Nathan Eovaldi from the Rays. Jalen Beeks was the return for the Rays in this deal. The deal for the starter was far more than a reactionary deal, to offset the Yankees acquisition. When looking at this deal, it should be analyzed by reviewing both the good and the bad. Lets first analyze the reasons why everyone should approach this deal with caution. The pitcher returned in May after missing all of the previous season recovering from Tommy John surgery. That surgery would have been the second time he has had the surgery, with the first time being in High School. Another reason to be cautious is the fact that Eovaldi, while he has pitched for the Yankees, has never been in the thick of a pennant race in his career. The pitcher has shown a great resolve in his career so this should not bother him. Anytime a player gets thrust into the thick of a playoff race, as well as learning new players on the team, the pressure seems to ramp up ten fold for that player. It will be interesting to see how Eovaldi handles the situation. The pros of this deal drastically outweigh the cons. 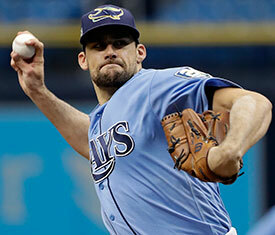 Eovaldi is a flame thrower who often times lights up radar guns with 99-100 mph fastballs well into his starts. He is able to pair the fastball with a devastating breaking pitch, this leads to numerous strikeouts for the pitcher. One of the best parts of the deal is the Eovaldi is a right-handed pitcher. The way the rotation appears to be shaking out right now, is that the righthander is going to fill in between Sale and David Price. This is going to help both Eovaldi and David Price. One is Price, who does not have the same stuff he had back in his prime, is able to now have an extra day between him and Sale. When a team faces Price for the first time without facing Sale his numbers are great. It is the starts Price has right after Sale in which teams are able to send Price to the showers early. Eovaldi is not like most starters out there, without his Tommy John surgery, many wonder how good of a pitcher he would be. He has the talent to throw a no hitter every time out. He has also had a few games he wishes never happened. Eovaldi with his velocity from the right side piggybacking off a Sale start, will help him put up better numbers. After opposing offenses try and figure out Sale and his breaking pitches and fastballs with tremendous velocity, they are most likely going to get a right hander with greater average velocity on his fastball. That can really weigh on the opponent mentally, and a few innings of keeping the opponents guessing will already be a mental win for the Red Sox, which usually leads to a win on the scoreboard. The Red Sox may have hit a homerun with this deal. It remains to be seen but Eovaldi is a capable pitcher who is going to be slotted into a rotation where he is going to have the best success. One other thing to consider is that Eovaldi is a free agent at the end of the year, so he is going to pitching with a contender, with tons of exposure to try and get a long-term contract. The Sox are hoping that this deal will help solidify the rotation for the rest of the season. If everything goes right Eovaldi may be offered a long term deal with the Red Sox. Whether he takes it is up to him, and how comfortable he feels. The Red Sox are going to continue their reign of the AL East this year no matter who is on their team, these deals have been strictly to help the Sox reach the ultimate goal of a World Series championship.